Hardly anything can be more romantic than a destination wedding in Europe, a continent full of history and the location of some of the greatest love stories of all time. Firstly when you mention a wedding in Europe, most people imagine the wedding whether in timeless Rome, irresistible romantic Paris, or maybe in always sunny Greece…in the most popular places which they attract people from all over the world for centuries. Those places definitely deserve the attention, but there are so many other quitter and not crowded places in Europe which are more hidden; but maybe just because of that even more interesting and beautiful. 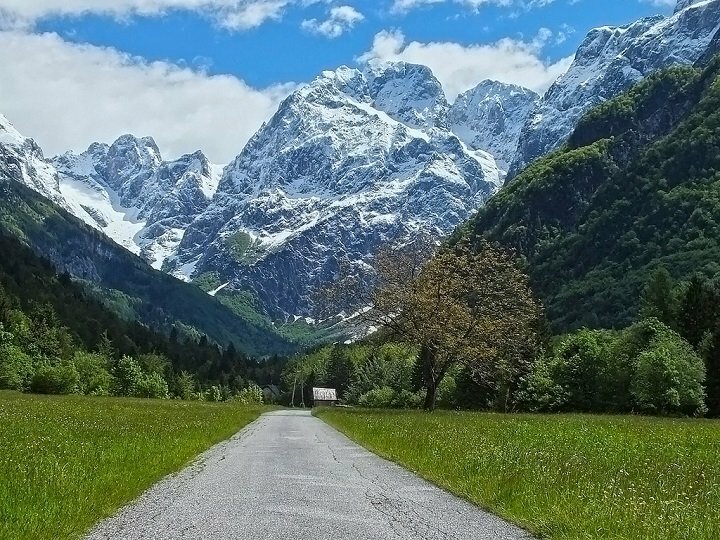 One of hidden pearls of Europe, located in its pure heart, it is little country called Slovenia. It’s pretty small and not so known, but it has all what have the greatest: beautiful unspoiled nature and extremely diverse landscape: high mountains, the seaside, hills and plains. Large areas are covered with green forests. 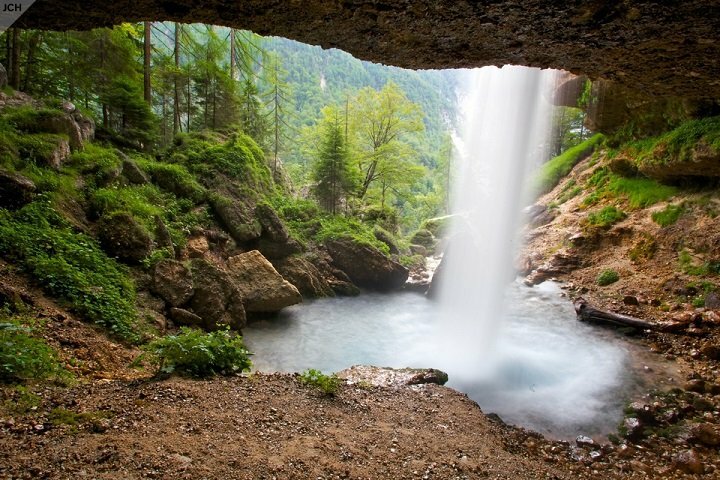 Slovenia is one of the water richest counties in Europe; it has countless streams, rivers, but only two beautiful alpine lakes. 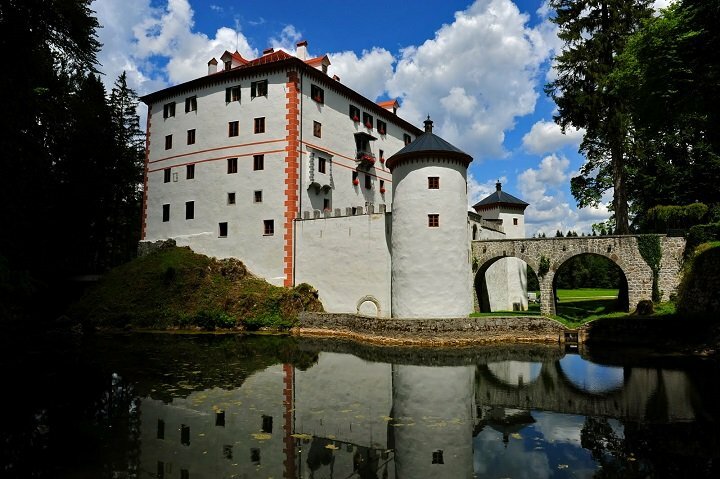 Slovenia has many historical sights: medieval cities, romantic churches nearly on every hill and many old castles. Ljubljana. One of the smallest and most perfectly designed European capitals. Peričnik waterfall. A great way to cool down in summer and a spectacular experience during winter when the waterfall freezes. 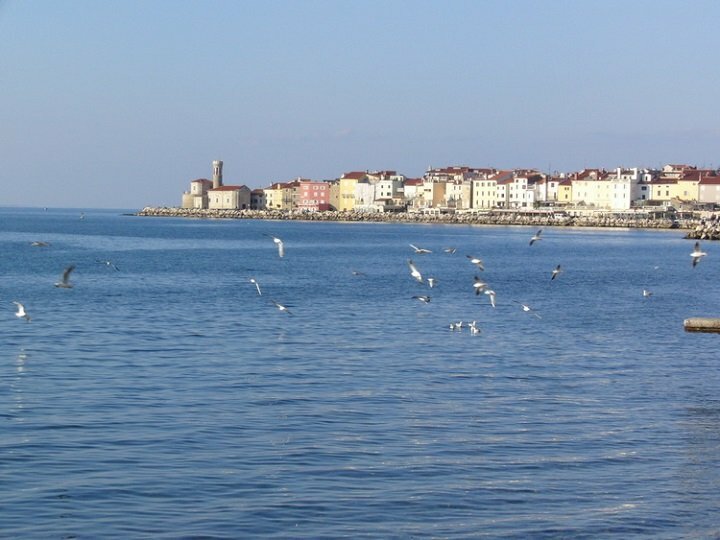 Blue Adriatic See with lovely old town Piran in the background. 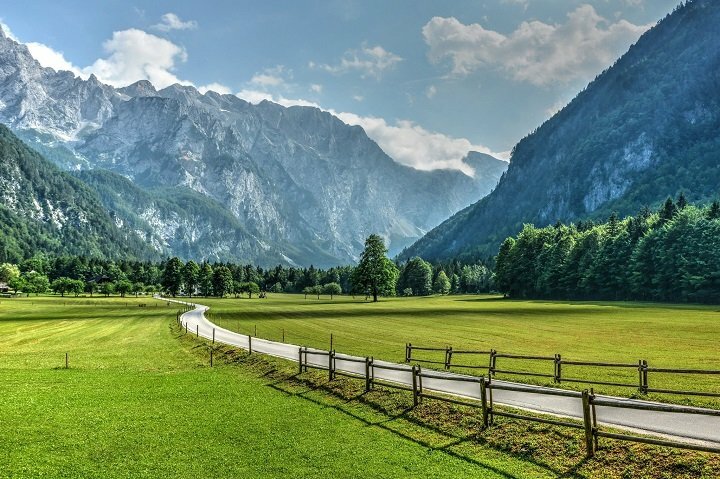 Slovenia is positioned at the centre of Europe where the Alps end and the great Pannonian Plain starts; this is the reason why the Slovenian landscape is so diverse. It covers the mountainous alpine regions, small part of the Mediterranean Sea, the Pannonian Plain and the Karst. In just a few hours’ drive through Slovenia from one side to the other the landscape changes constantly. You can enjoy the seaside view and just short drive away in the other direction you will be surrounded by high mountains. Heading up into the forests, you can see the green plains below you. From upland meadows your view stretches into river gorges. This proximity of opposites and contrasts is a hallmark of the country. One of the amazing views to Julian Alps, the highest Slovenian mountains. 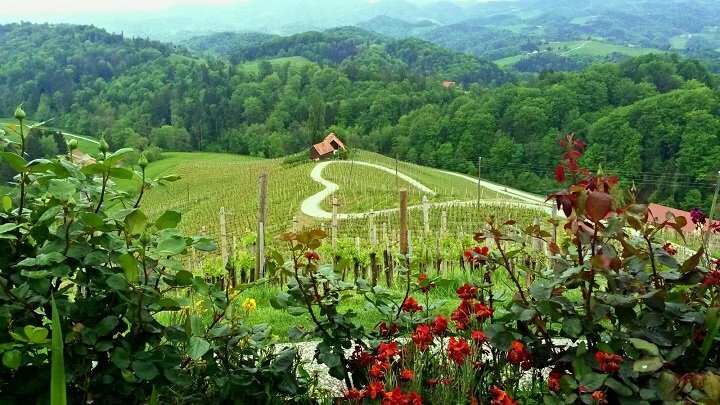 Road forming the shape of heart in the middle of vineyards in the northeast of Slovenia. Snežnik Castle is a 13th-century castle located in the southwest part of Slovenia. The Logar Valley. One of the most beautiful Alpine glacial valleys in Europe. 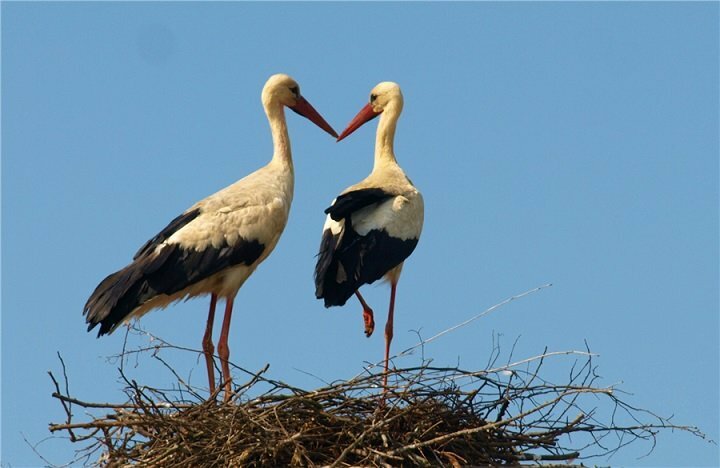 Stork’s nest. Symbol of love and happiness. Postojna Cave. 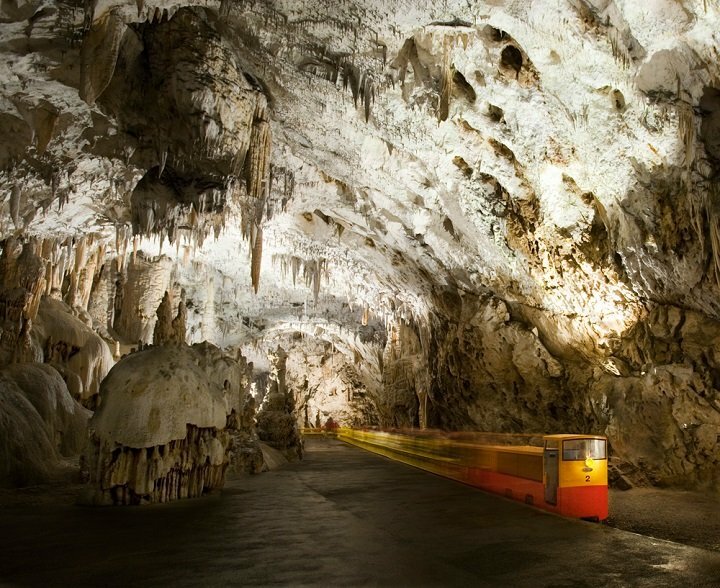 The greatest tourist attraction in Slovenia and one of the world’s largest karst monuments. Visitors often say that Slovenians are friendly and hospitable. It is easy for a foreigner to make friends and find a “like soul” here. For Slovenians it is very easy to learn foreign languages; nearly all speak one or more foreign languages. Language spoken in Slovenia is Slovenian; spoken by only 2 million has the status of the smallest official European Union language. Slovenians are very proud of their country, language and their culture. The Slovenian culture is mostly influenced by their own language and strongly characterized by their poets and writers. As a prof of this the most important square in Ljubljana is named after the greatest Slovenian romantic poet France Prešern. Only this long term cultural commitment has enabled Slovenians to survive as a standalone nation and establish its own independent state only some decades ago in 1991.